Brickell’s hottest Friday Ladies night party is every Friday at Waxy’s on the River in Brickell. Ladies enjoy complimentary cocktails from 9-11pm! If you haven’t checked it out then make it a point to come out this Friday. Dj’s Javi C & Alex LDT playing the best of Top 40, Rock, House & Old School Hip-Hop. 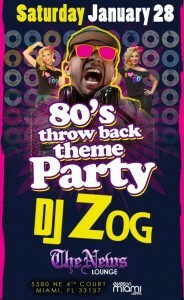 Saturday January 28th Dj Zog takes over The News Lounge! 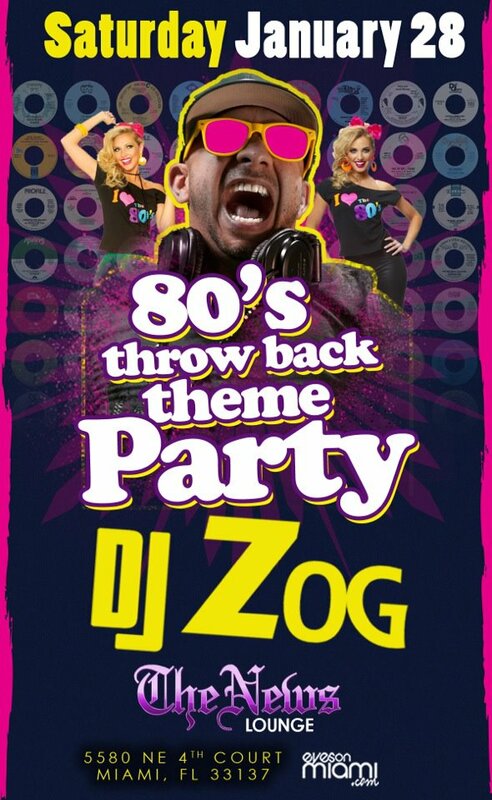 Playing all the best hits from the 80’s including Retro, Freestyle, Rock & Old school Hip-Hop, Zog will take us back in time! Complimentary admission to this event on Eyesonmiami’s guest list.